Introducing the newest addition to our mirrored accessories, this beautiful Modern Mirrored Fan Wall Clock, features a fanned mirror design around the frame. With a complete mirrored exterior it will perfectly reflect your current interior with ease. 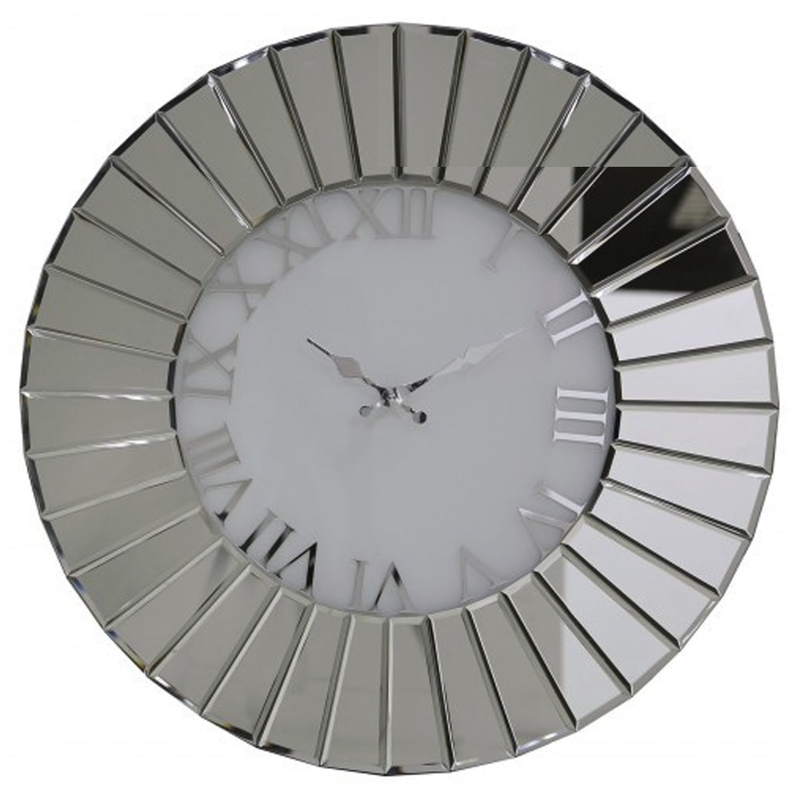 Add a modern touch to any room in your home with this beautiful mirrored wall clock.